In a nutshell, MP3 and Apple’s AAC format assume people can’t hear all the music so it doesn’t need to keep it all (therefore its ‘lossy’), and they’re often used with lower quality settings to save space. There are lossless formats like FLAC that keep CD quality, but then there are those that argue CDs aren’t good enough either. Of course there is something better – High Definition Audio (HD Audio). HD Audio is becoming more available, and not just for the Beethoven set. Many artists like Daft Punk and Green Day are available in full HD glory from places like HDTracks. HD Audio sounds amazing – even with modest gear (see below). HD Audio uses more data (more bits and higher sampling rates: bigger music files) to better reproduce the music. FLAC, which can also handle more data, looks to be the most popular format for HD Audio. My current setup uses my computer with a Digital to Audio Converter (DAC) connected by USB. A decent DAC will make any music source sound better (even MP3s), but it’s required for the bit rates that HD Audio uses. 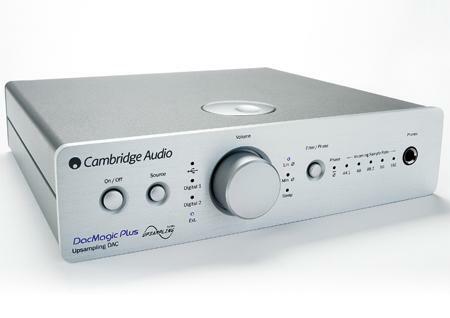 My Cambridge Audio DacMagic Plus is an affordable DAC and sounds great. It can also be used with headphones so you don’t need a full stereo system. My next step is to find an affordable and convenient way to enjoy HD Audio all around my home until the Apples of the world make it ubiquitous for us all. You can use streamers like Roku, but they don’t allow for full HD Audio streaming. Of course there is audiophile grade equipment available, but my goal is to get HD Audio streaming from network storage at a modest price point. I’ll update with my progress, but in the meantime for those interested I recommend you try listening to your current music through a DAC for improved sound quality and test out a favourite album in glorious HD too. 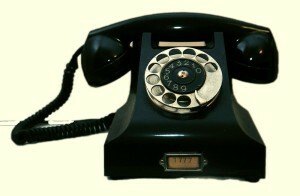 We were like many families as we still had a landline, but almost exclusively used our mobiles. We wanted to cut the cord and save money, but there were still a few hold outs that called us on our home number. What about quality you may ask. Call quality is about as good as you’d expect from an Internet phone service. Its not crystal clear, but very acceptable for free! Also sometimes the calls don’t ring out as long and the caller ID isn’t perfect, but again acceptable in my books. I’ve been using it for a couple months and besides being free, I really like the features and flexibility of the Internet phone service. We don’t get or make many calls on that number, but its still there for us. If you’re thinking of cutting your landline home phone, it might just be the step you want. The Sound City documentary from Dave Grohl (Nirvana, Foo Fighters) is engaging – even if you’re not a music nerd. The journey is built around the Sound City studio’s Neve mixing console Grohl is buying before the studio is demolished. But its also about the people who recorded great albums there including Fleetwood Mac, Tom Petty and the Heartbreakers, Rick Springfield, Nirvana, and many more. Its fascinating to see the ups and downs of the studio told through conversations with the artists. When the console is moved, Grohl hammers out an album with his musician cohorts, including Sir Paul McCartney showing how easily its done (if you’re Paul McCartney). Although we’re huge music fans, we expected this would be a self-absorbed, dry affair. It turned out to be much about what makes us human. Not bad for a rock guy’s doc. The film and soundtrack, Sound City – Real to Reel, are well worth a watch and listen. The film is currently the movie of the week on iTunes for $0.99 rental if you want to check it out there. 1) Nest thermostat – Who knew a programmable thermostat could be so cool? This thermostat learns as you use it, so you don’t have to actually figure out how to program the thing. It also makes it really easy set your home to ‘away’ to save energy when you’re not around, and equally easy to use its smart phone app to heat things up as you’re heading home. 2) Wall outlets with USB outlets – Since USB has become the standard for charging devices, it’s handy that manufacturers are coming out with wall outlets with built in USB outlets. This will help with clutter in our right sized Vancouver and lower mainland homes. Many manufactures have them including Leviton and Cooper, but Newer Technology gets props, as it turns off the charger to save power when nothing is plugged in. 3) Philips hue – These light bulbs allow the usual scheduling and control of your lights from your smartphone or tablet, but they also allow colour control! Perhaps you just need to set the right mood that only colour control can do. Fittingly you start with the Starter Kit that comes with the wireless bridge and then can add bulbs from there. 4) Cloud storage – Cloud storage services have been around for quite a while now including Box, Google, iCloud, Dropbox and SkyDrive. You usually get some storage for free, and adding more storage is reasonably priced. Microsoft’s SkyDrive gets extra points though, as it works seamlessly for files on Mac and Windows and all smartphones and tablets. We’d like to see seamless automatic cloud backups, but we’ll come back to that in the future. 5) Solid State Drives – Computers are usually a part of the home experience, so its best to ensure your focus is on enjoying your music or video and not a Mac pinwheel or Windows hourglass. Solid state hard drives like Crucial or Samsung have been around for a long time, but now they’re getting affordable for the rest of us who aren’t high end users. They are a reasonable splurge that will greatly improve the speed of a new or existing computer. These are some great ideas to consider, and we’ll keep our eyes out for more to keep you posted.